On a cookie sheet or plate, lay out your apple slices. 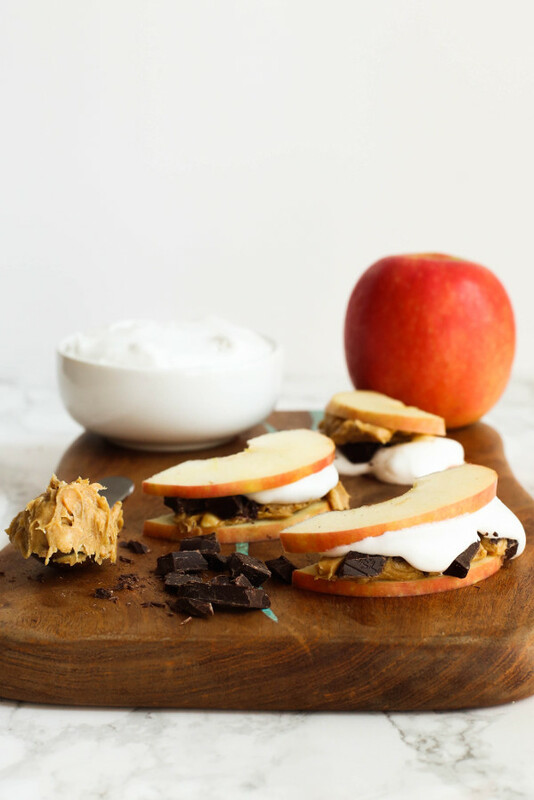 Spread marshmallow cream and chocolate on half of apples. Spread peanut butter on remaining apples. 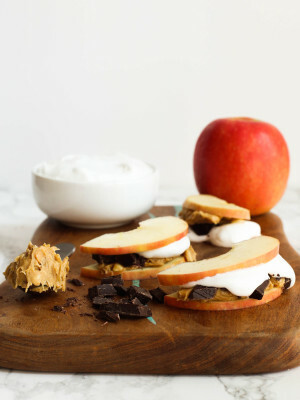 Sandwich each pb-apple with a marshmallow/chocolate apple and enjoy.